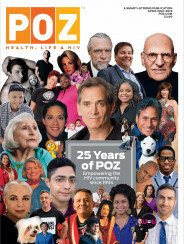 POZ Focus is a single-topic special issue of POZ magazine that offers the need-to-know HIV basics with special advice for newly diagnosed folks. This issue gives people living with HIV—from those who just found out they have the virus to long-term survivors—a guide to working with their health care provider. This issue will give HIV-positive people—from newly diagnosed to long-term survivors—a guide to living life on their terms. 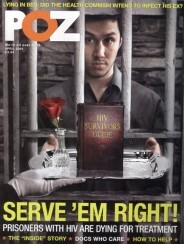 This issue offers inspiring tips and solutions to help people living with HIV enjoy life to the fullest. This issue focuses on lipodystrophy, or abnormal changes in fat distribution, and includes info on causes and treatment options. A guide to dealing with gastrointestinal problems such as diarrhea, gas, heartburn, nausea, vomiting or constipation. A guide to advocating for your HIV care and treatment. A guide to HIV and how it affects your overall health and well-being.